•To Simplify a Fraction divide out of top and bottom any common factors. must divide out all such common factors for a fraction to be simplified . *Note 2: For all operations involving fractions do not work with mixed numbers. First change them to improper fractions then follow the rules below. times the denominator will go into the numerator? 2. Multiply the denominator by the number that will get you to the LCM. Add and see if there is the fraction can be simplified. 1. Replace all the numbers with their prime factorizations. Never Divide Fractions. Change it to multiplication. Identify by first looking at the order in which the numbers are coming. If there is a change, see if the order is switched around addition. 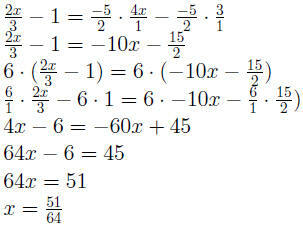 If there is a change, see if the order is switched around multiplication. when you add it you get back the identity (0). a number it equals that number. you add it you get back the identity (1). attached to the variable.) For 4x2 and −5x2 they are 4 and −5 respectively. 4. Attach the common variable. Note: the coefficient of x is understood to be 1. The term with no variable is considered the constant term. the number to the right of it. 4x2 − 5x2 4 and − 5 are the coefficients. 2. Decide which side you want the variable to be on. 4. Divide both sides by the coefficient of the variable. 5. Make sure your answer is simplified. Distribute on either side of the equality. Combine like sides on either side of equation. Divide both sides by −12 and simplify. 5. Decide which side you want the variable to be on. 7. Divide both sides by the coefficient of the variable. 8. Make sure your answer is simplified. 1. Sum: The sum of a number and two. 2. Difference: The difference of a number and two. 3. Product: The product of a number and two. 4. Quotient: The quotient of a number and two. 1. More: Three more than a number. 2. Less: Three less than a number. 3. Subtract from: Subtract three from a number. • Use the above hints to translate the problem into math. • Be sure to solve the equation if asked to do so. the same as subtracting 5 from the twice number. Find the number.